Our new About Me page layout is here! 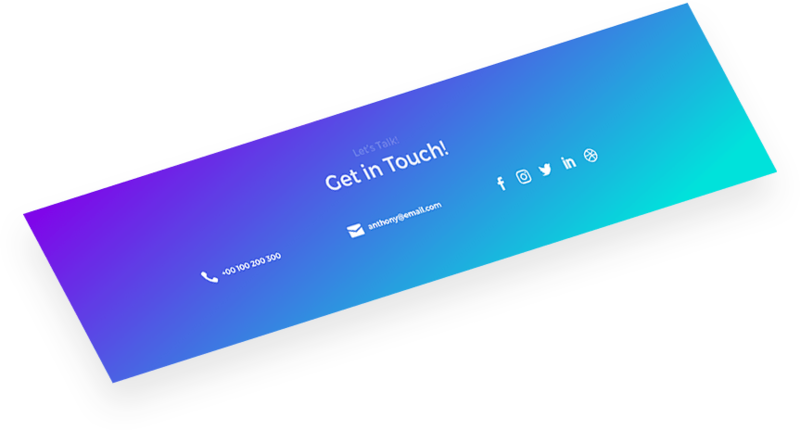 It’s a sleek, minimalist design with a quiet background and striking flashes of vibrant colors. Its elegance conveys professionalism, and the electrifying explosions of hue draw your visitors’ attention to all the right places. 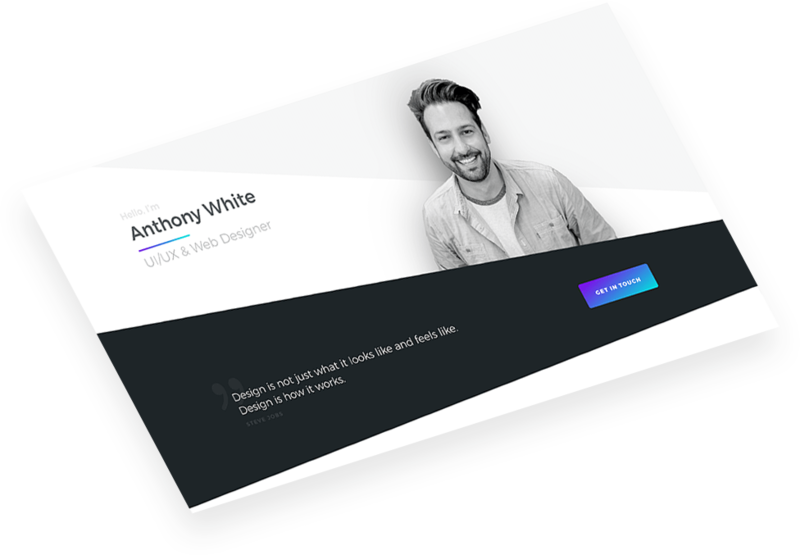 It’s a perfect layout for web design freelancers, and all other freelancers who want to showcase their work and skills in a compelling way. 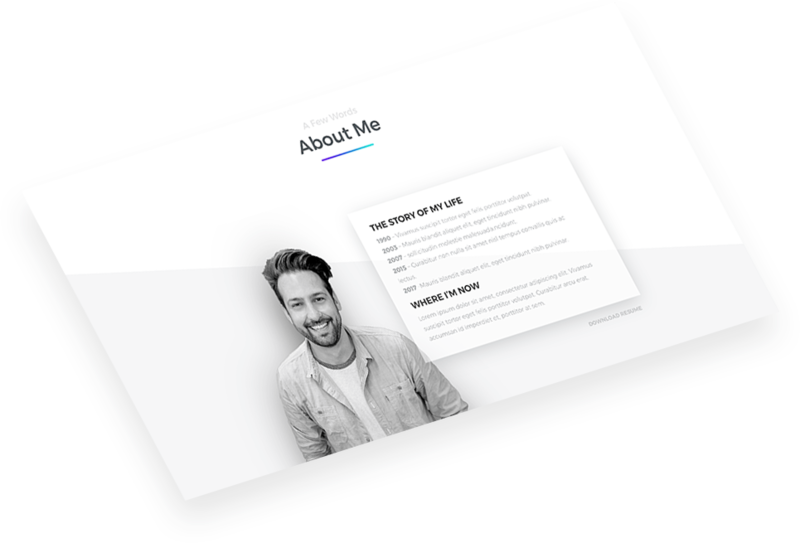 Requirements: The About Me Page Divi layout requires that you have the Divi parent theme for WordPress installed (version 3.1 and up). It is not included with this product. Oh, and did we mention the layout is FREE for our subscribers? 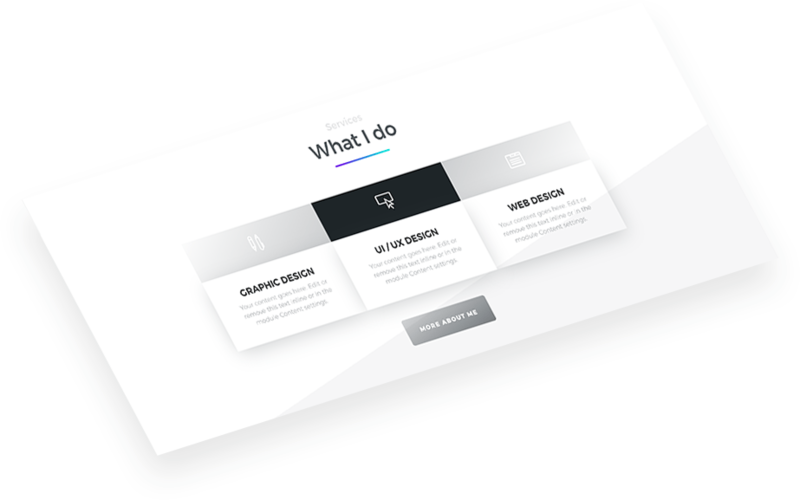 An About Me page needs a few elements to be convincing and win you new customers. This layout has them all! Tell your visitors who you are. Let them see your face. It’s an important and effective strategy of personal branding. Tell them, what you can do. Let them know, what services you’re offering. 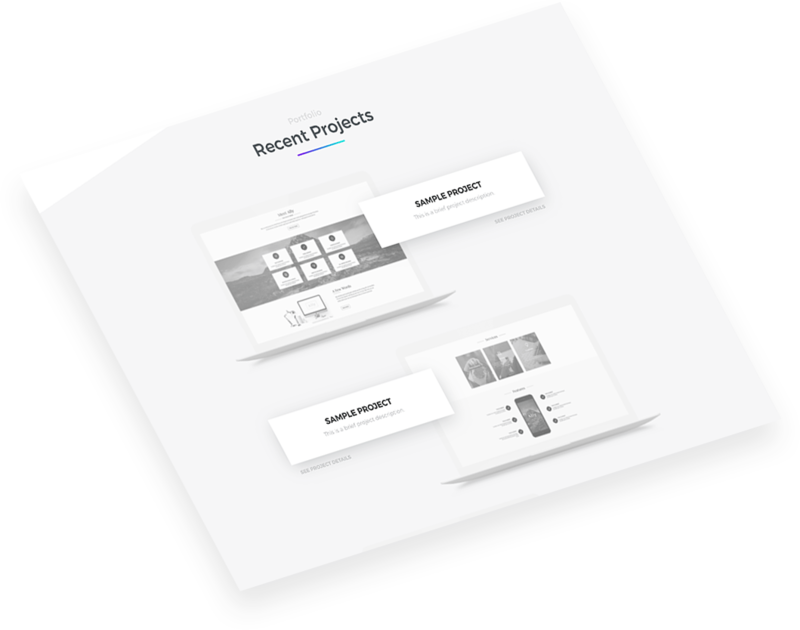 It’s a snippet from your portfolio, showcasing your best projects. A must-have for all successful freelancers! Your visitors should see that you’ve made your previous clients happy. 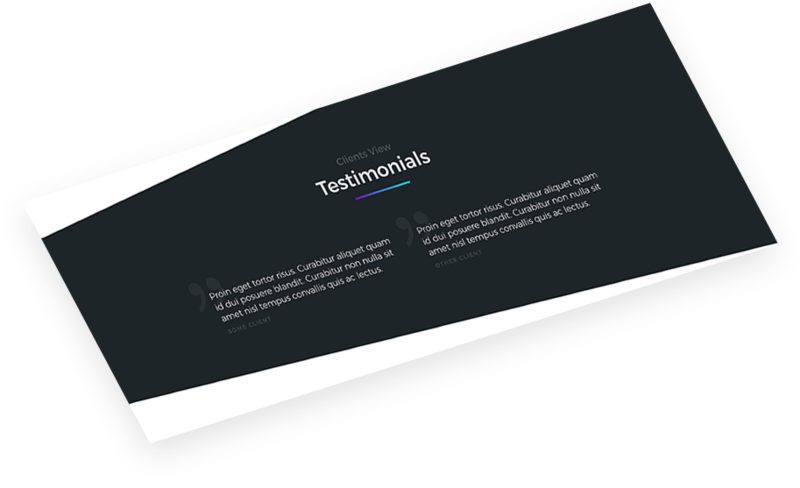 Positive testimonials prove your professionalism and skills. Tell them who you are in more detail. Let them see you not only as a professional but also as a person. It makes you more approachable. Don’t force your customers to search for your contact details! Make them visible, highlight them, and help your customers reach you. Don’t forget to take a look at the layout demo! We’ve worked hard to make this layout for you and we hope very much that you’ll enjoy it. Heads up for our future Divi freebies and tutorials: sign up to our newsletter so you won’t miss them! If you’re our subscriber feel free to download the JSON file! We appreciate your feedback, so let us know in the comments what you think! Hey cool layout love it! Hi and just have to say fantastic about me page which I am utilising. Amazing work as always Ania. Thank you all for your kind comments and support, I really appreciate it! Thanks a million for sharing great layout. It’s good to receive useful and saving time emails from you. Hi Ania, I love the finesse and elegance of your work. Hi Ania, I love getting emails from you, you always have something nice and useful to share. This layout is great, love it. Ania, very good! His work is clean, light and complete. Congratulations for more this tasteful lesson! Very nice, Ania. Tastefully designed. Once again you knocked it out of the park. Your designs keep getting better and better. Personally, I think you are one of best around. Keep up the amazing work! I always love your work and look forward to your new posts which are always helpful!